Just Brock Lesnar doing Brock Lesnar. We have very little context to this video, but we do know it’s hilarious. Brock’s last few years in WWE has been an uneven ride. It always feels like Brock is one slight turn away from taking his ball and going home. Taking his boots off and going to the UFC? From a new WWE documentary, the promotion includes footage of Brock slinging his WWE Universal Championship at Vince McMahon. This wasn’t a friendly toss to your buddy after a good match. Nope, this was a fastball from a 280 pound man-beast into the face of the 73-year-old chairman of WWE. There has to be much more going after this very real incident. Then again this is pro wrestling, whenever a camera is rolling you have to assume its a work, right? Right? There must be a reason why WWE is showing the biggest champion in the company throwing their biggest title at their most well known authority figure. Brock has gone on to wrestle five times since this incident occurred at WrestleMania 34. Brock even dropped and regained his title since the title toss heard around the pro wrestling world….which aired last night…..and which we never saw before. On the UFC comeback front, there is still no new word on when Brock Lesnar will fight again. One month into 2019 and the UFC has still not dropped any hints on what’s next for one of their biggest pay-per-view draws. Daniel Cormier? Jon Jones? Other? 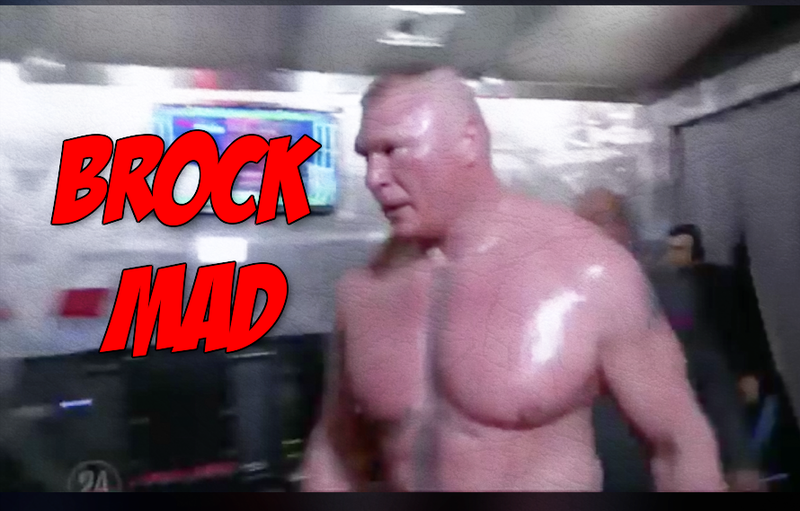 Are fans really going have to wait until next July to see Brock back in the cage? Can he do a few more disrespectful pro wrestling things before then? Previous articleVideo: Boxing Referee Steve Willis Hilarious Facial Expression!